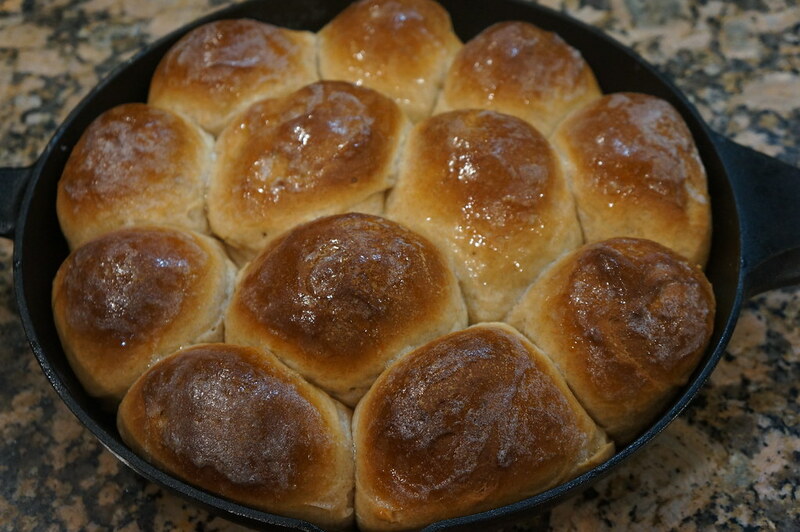 This afternoon I whipped up a batch of rolls to go with spaghetti and meatballs for dinner tonight. Instead of using all regular all purpose flour I used half white and half stone ground whole wheat. 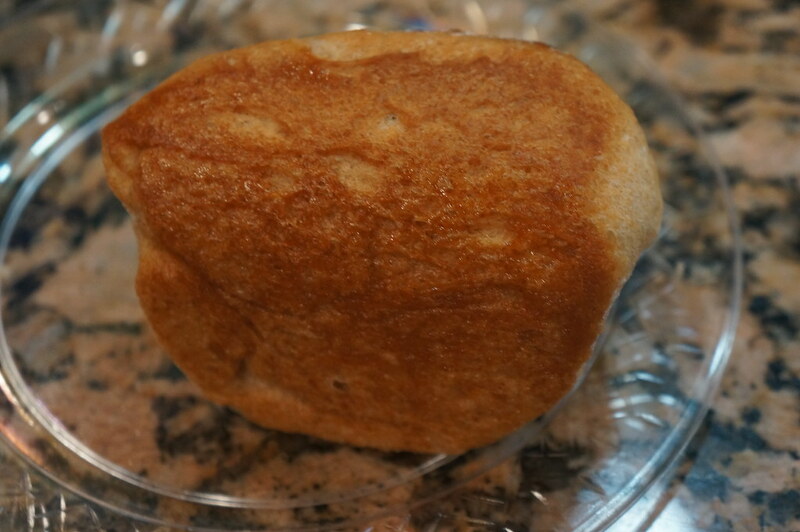 I used half of the dough to make rolls and half to make a loaf of bread for slicing. 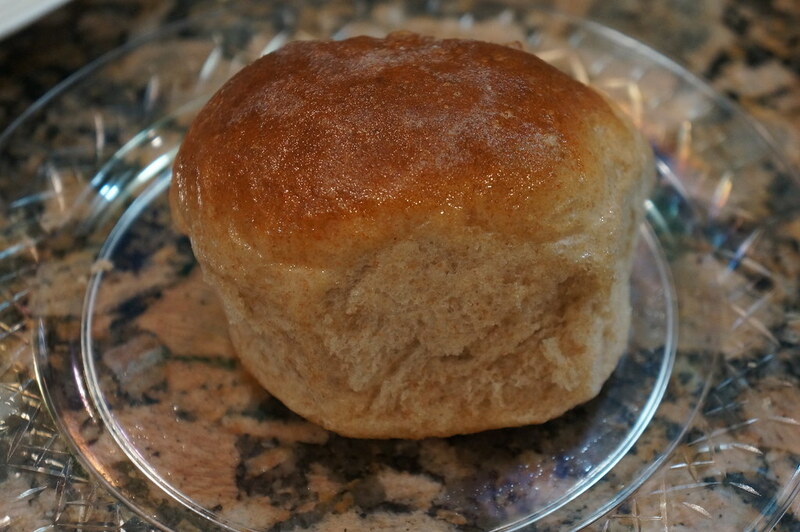 The bottoms of the rolls came out perfect! 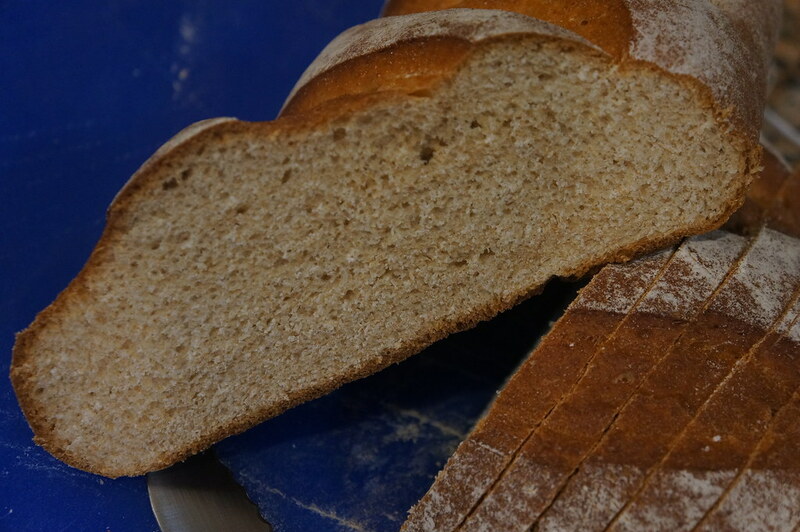 The crumb was tender and delicious! The loaf of bread which will be sliced tomorrow. 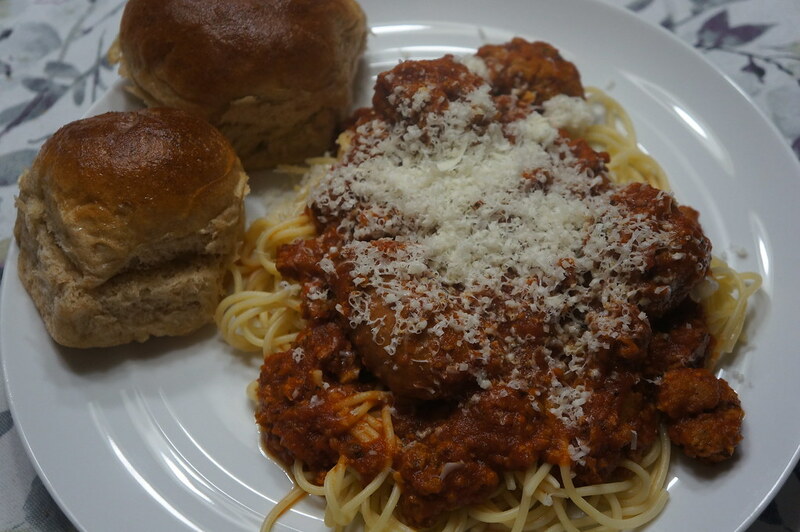 The red gravy has loose Italian sausage, cut links of Italian sausage and the meatballs which were so tender some fell apart. I have tried making bread like 10 times. Not sure if it's the recipe or if there is a secret i am missing. Can you share this recipe and any tips you might have. 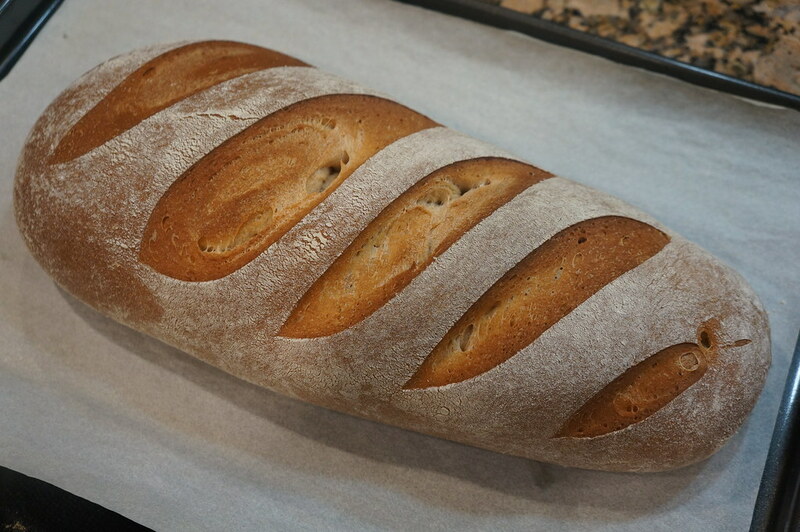 I'd love to make some homemade bread over the winter but i failed so many times i gave up. What you make looks great! It's what i would be picking out at the store! The only thing I did different yesterday was I used 3 cups of all purpose and 3 cups of stone ground whole wheat(Bob's Red Mill brand for both flours). One thing I think is very important is to have a good fresh yeast. If it's expired toss it and get new. Not that I believe in all expiration dates. When mixing the yeast with warm water let it become active and foam up. Other than that just follow the directions closely and you should have success. Oh, also with the cooler weather of now it may take longer to rise. Give it more time if needed and it should rise. I find that when cooking if I place the bowl with the covered(preferrably w/ plastic wrap. It keeps it from drying and helps it to rise)dough near the stove. Below is the recipe ....... Give it a try and let me know how you like it. Everything you make always looks so delicious!!! I agree Dataspaz. I want Caj to just feed me for a week! @Caj - Thanks for the tips and recipe. My oldest daughter turns 8 tomorrowo so i have family in town and will be busy so hopefully i'll get to give this a shot next week. 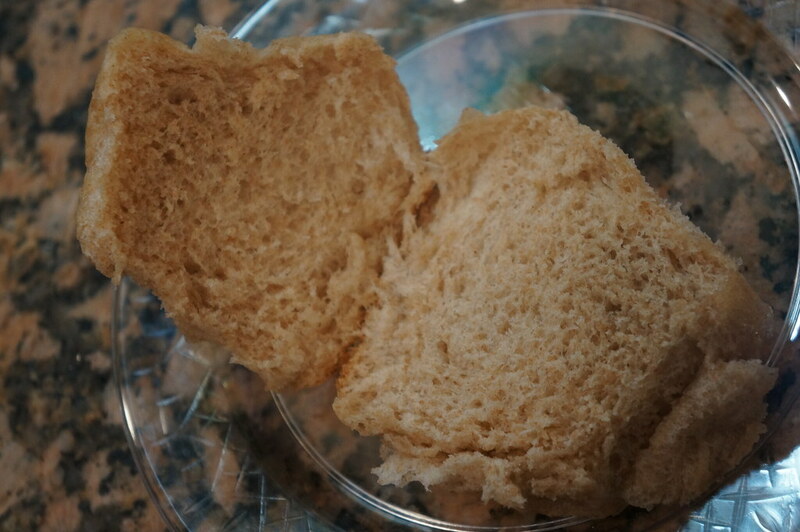 Here's what that loaf of bread looks like sliced.